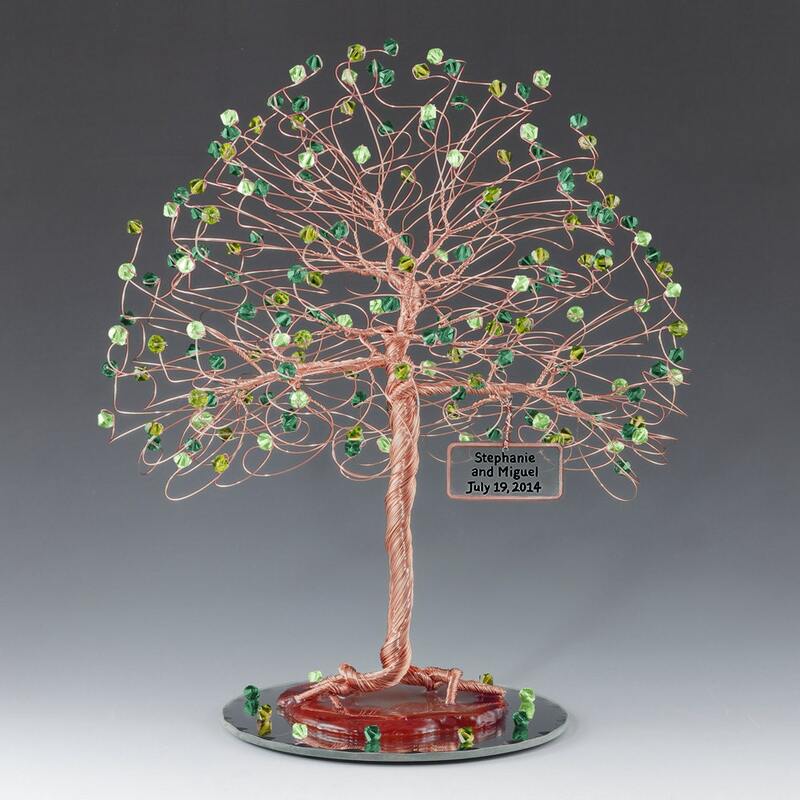 This listing is for one 8" x 9" tree cake topper in your choice of bead and wire colors with custom sign. To order just follow these instructions. 3. In the cart there is a message box where you can enter your color choices. 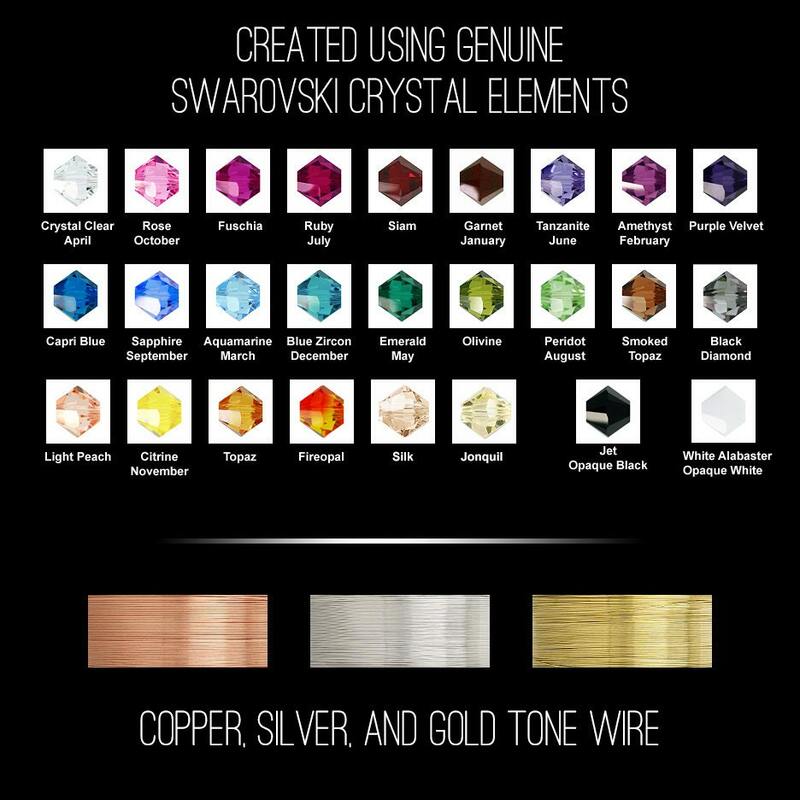 Please list all colors using the name from the color chart. Also enter your personalized text here. Text is limited to three lines with 18 characters per line including spaces. Please use the date format you would like on the sign. You text will be added exactly as you type it. 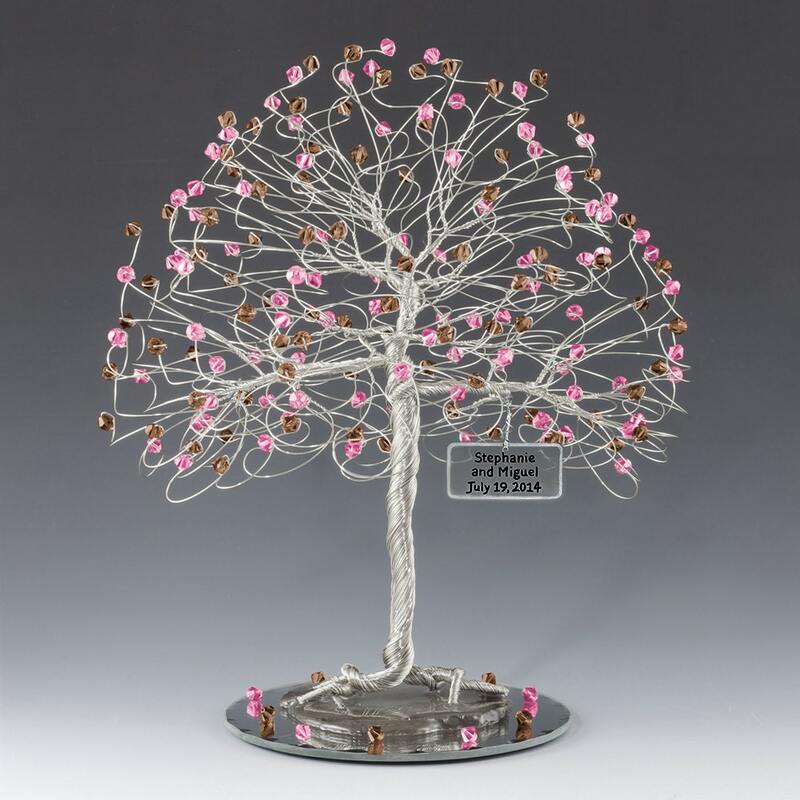 Tree measures approx 8" x 9" and is created from your choice of silver, copper, or gold non-tarnish wire. 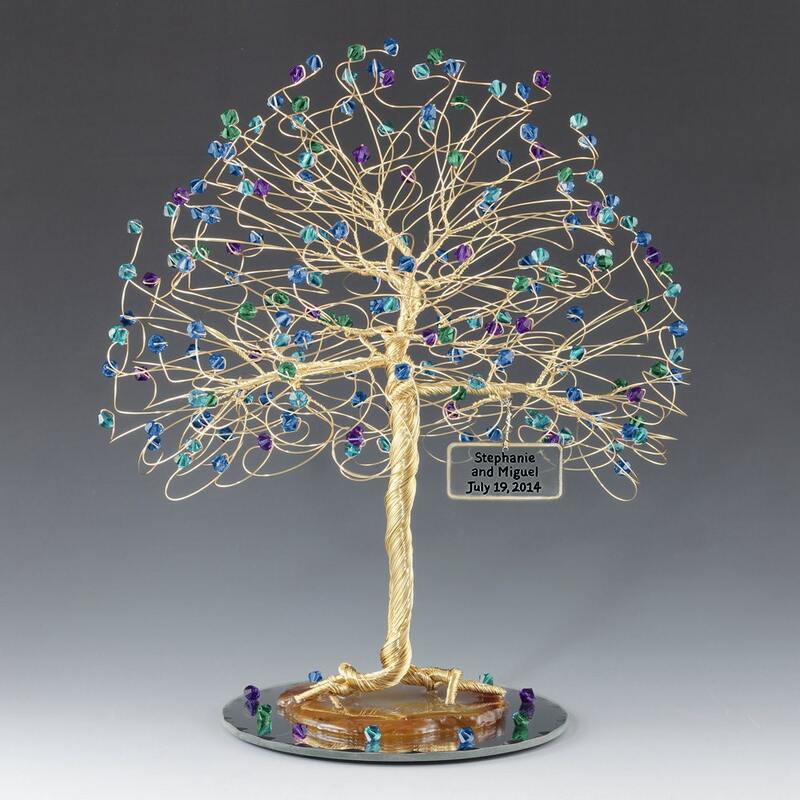 All 175 branches end in genuine swarovski crystal elements and the base is a slice of natural brazilian agate on a 5" round mirror base. Weight is about 14oz. Such a beautiful and unique cake topper! 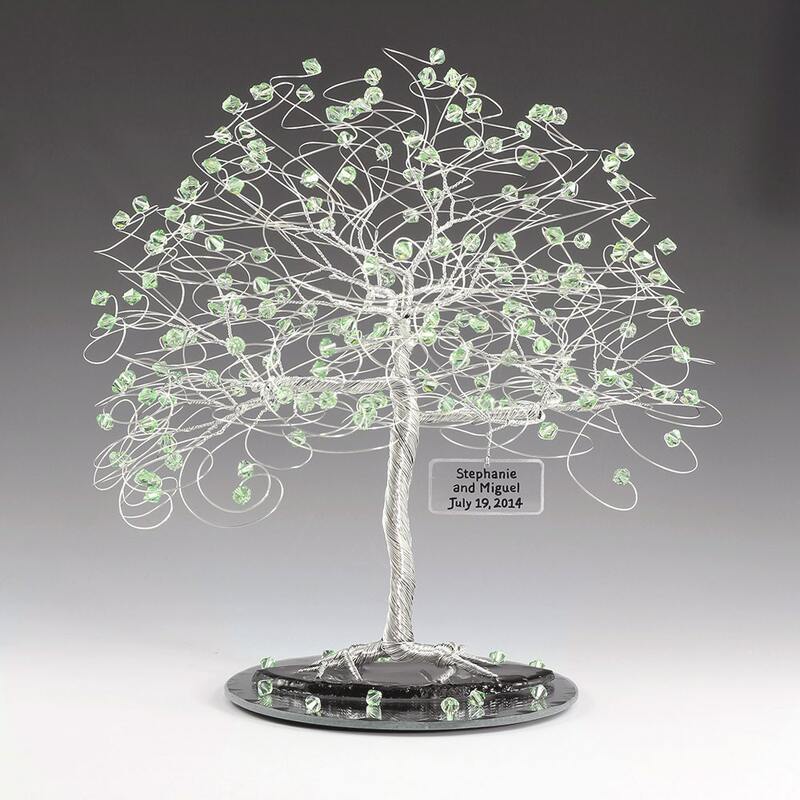 Adds the perfect touch to any cake and a later keepsake. Really well made and fast turn around! Couldn't be happier, thank you! I love this personalized cake topper, it was exactly what I was looking for as a gift for my parents 60th anniversary. Apryl was awesome to work with in helping me get the look I wanted.